This was Open House weekend at alpaca farms all over the country. We visited the Cedar Brook Alpaca Farm in Irasburg. 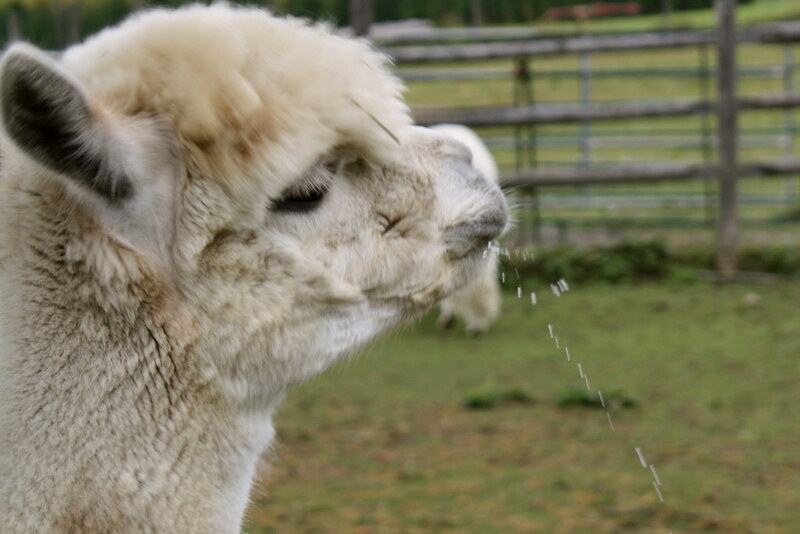 This female alpaca (a hembra) just had a drink of water. In her paddock were only females and crias (babies). My Cedar Brook Alpaca Farm Set on Flickr. To visit more participants, click the graphic above. I do like alpacas. There are alpaca farms here and they also make lovely pets. Lamas and alpacas are sure getting more and more popular. I know some people who raise sheep and they keep a some Lamas in with the sheep to guard them.